Harry Potter Documentary Will Provide a History of Magic on the BBCHave your wands (and DVRs) at the ready. John Wick Will Make Good on Promise to ‘Kill Them All’ in Chapter 3 in 2019Wick really isn’t good at retiring. True Detective’s Renewed Third Season Will Be Set in the OzarksThe next season will have three different timelines. Tina Fey Stress-Eats a Cake After Talking About Trump in Weekend Update ReturnDealing with political frustration has never been so tasty. Seth Meyers Says Trump Is Turning Every Republican Into GollumMeyers’s impression is less Gollum and more Gilbert Gottfried. Game of Thrones Gets a Star Wars Makeover With Arya and Brienne Lightsaber FightThe night is dark and full of whooshing noises. Watch Bill Hader’s Scaramucci Impression on SNL’s Weekend Update: Summer EditionThe Mooch would be proud. American Horror Story: Cult’s New Promo and Poster Feature a Clown, More BeesDefinitely don’t look and watch if you’re afraid of clowns or bees. Seth Meyers Uses Rooster Sound Effects to Make Scaramucci’s Tirade Less VulgarMeyers: 1, Scaramucci: 0. Warner Bros. Is Trying to Get Wonder Woman Best Picture and Director Oscar NomsIf the studio succeeds, the film will be the first comic-book movie to be nominated for Best Picture. American Horror Story Reveals Its Season 7 TitleIt makes a lot of sense when you think about it. The Real Hero of Marvel’s Inhumans Comic-Con Trailer Is Medusa’s Strangling HairMarvel’s Inhumans debuts its first two episodes in IMAX theaters on September 1. Will Smith Teams Up With an Orc in the Trailer for the Sci-Fi Film BrightElves, and orcs, and fairies, oh my! Take a First Look at the Model of Disney’s ‘Star Wars Land’Yes, the Millennium Falcon is present. Selma Blair Joins the Cast of Heathers Reboot As a Stripper Named JadeShe’ll be playing a stripper named Jade. Joan Lee, Stan Lee’s Wife of 69 Years, Dead at 93They were married in 1947. Game of Thrones Season 7 Will Have Jon Snow and Sansa Stark Power StruggleThe family reunion is over. Watch the Animated Video for Jay-Z’s New Song ‘The Story of O.J.’The video was directed by Mark Romanek and Jay-Z. Rick and Morty’s Newest Trailer Finally Reveals Season 3’s Premiere DateIt’s time to get schwifty! Is This the True Identity of Banksy?Mystery solved? What Is Stephen Colbert Doing in Russia?But will he find any tapes? 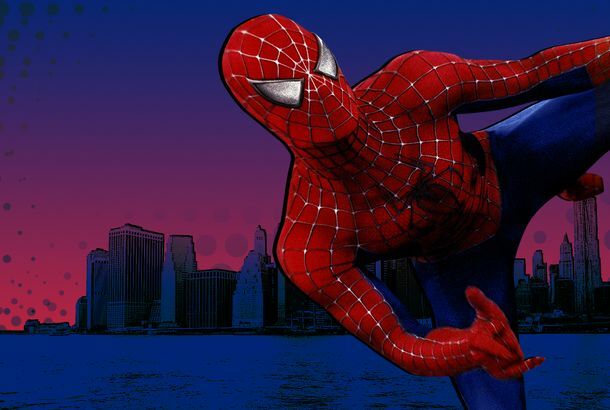 Where to Find the Sites of NYC’s Most Memorable Spider-Man Movie ScenesWe’ll tell you right now: Spider-Man’s upside-down kiss was shot on a set in Los Angeles. Seth Meyers Roasts Trump With DJ Khaled CatchphraseSeth Meyers used the “immortal words” of DJ Khaled to prove how Trump set in motion a chain of events that would lead him to be under investigation. Is Half-Blood Prince Harry Really the Sassiest Harry Potter? An InvestigationOne Redditor ranked all the Harry Potter novels based on how sassy Harry gets. Taylor Swift’s Music Is Returning to Spotify, and the Timing Is Really ShadyDoes Taylor hate Katy more than she hates Spotify? The U.K.’s Misfits Is Getting a U.S. Reboot on FreeformStarring Bobby Cannavale’s son!